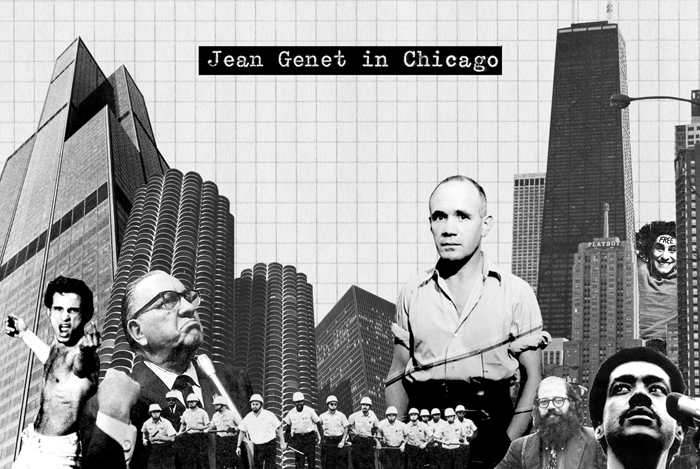 A queer rewriting of the events surrounding the 1968 National Democratic Convention from the point of view of the controversial French writer. 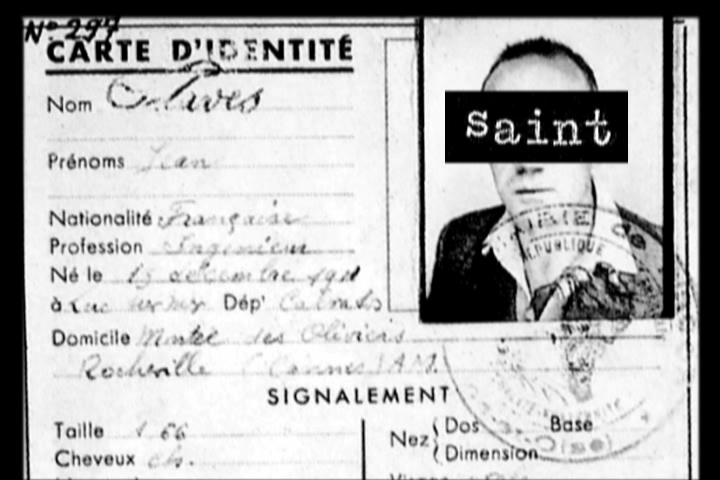 This “thief-video” combines disparate textual sources, contemporary reenactments of historical events and archival footage in order to relate the uneasy fusion of the French poet’s criminalized sexuality with late 60s American counter-culture. 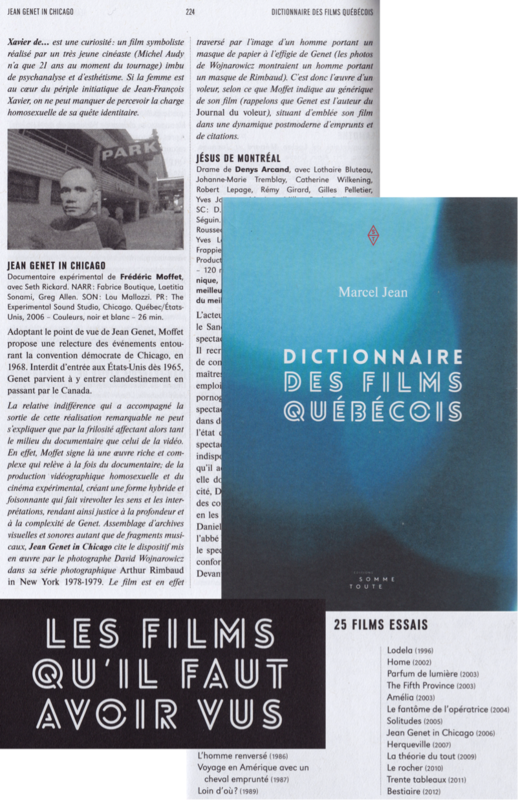 Jean Genet in Chicago is listed as one of the 25 best film essays in Marcel Jean’s Dictionnaire des films québécois. 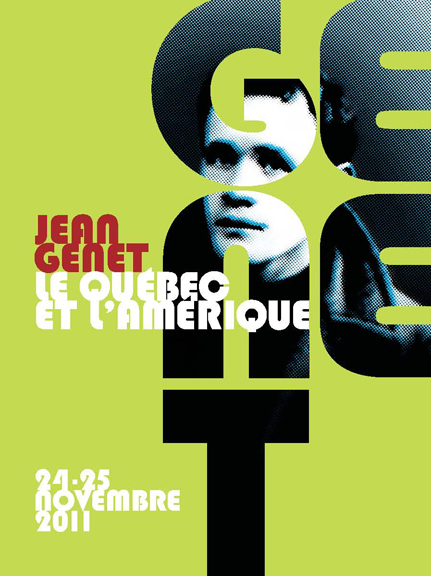 Jean Genet in Chicago opened the colloquium Jean Genet, Le Québec et L’Amérique organized by L’Université du Québec à Trois-Rivières. I was on hand to introduce the video and answer questions afterward.